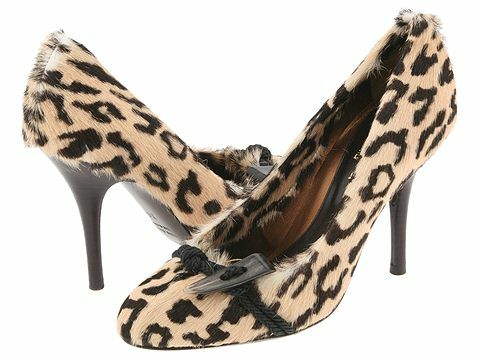 Fabulous printed goat fur pump with a tribal-inspired ornament. Leather lining. Leather sole. Stacked heel. Made in Italy.